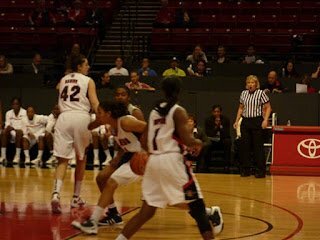 San Diego – The San Diego State Aztecs routed the Longwood Lancers last night, 79-37. SDSU commanded at the start, and though Longwood got on the scoring board at the charity stripe, they didn’t score a field goal until the first half 12:31 mark. The Aztecs lead 45-19 at the break. The Lancers went on a run to start the second period, and cut their deficit to 22 points before SDSU kicked their play up a few notches and bolstered their lead. 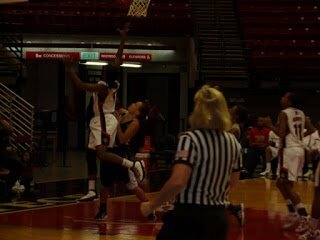 Sophomore Kiyana Stamps and freshman Ahjalee Harvey each put up 15 for the Aztecs. Senior Brittanni Billups lead Longwood with 14 points. SDSU has now won five consecutive games, as they prepare to begin Mountain West Conference play next week. They are a young team with several new players, and they are still working on chemistry and cohesion of all the athleticism on the squad. Duke transfer Chelsea Hopkins continues to be a bright spot, and may be the key to leading the Aztecs to the next level. 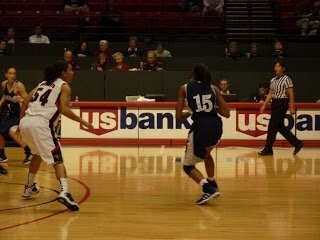 Her ability to see the entire court, her ball handling and ball distribution and her quickness is just what SDSU needs. 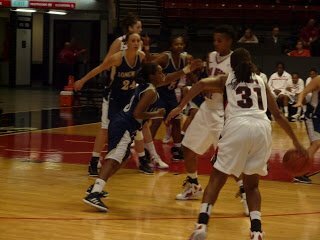 The Lancers have had a tough year, beginning in December, 2010 when former coach Kristin Caruso was fired after being suspended twice. Assistant coach Bill Reinson was named interim head coach to finish the season, and then last spring was named permanent head coach. 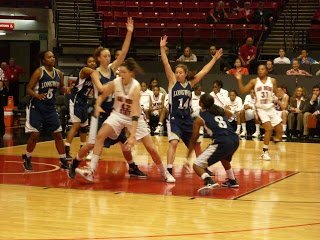 Longwood has trouble handling pressure defense, needs to work on passing and has weak defense, to name a few issues. But Reinson has instilled in them a “never give up” mentality, as they played hard until the end of last night’s game – while he clapped on the sidelines. That was inspiring. SDSU has one more pre-conference game this Saturday, at Cal State Bakersfield. Longwood’s Chelsea Coward prepares to pass the ball to a teammate in the first half. Heather Tobek is smothered by the Aztec defense. 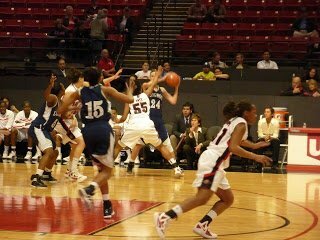 SDSU guard Courtney Clements launches a drive for the basket in the second half. 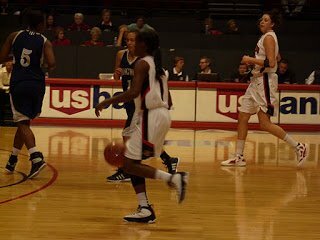 Point guard Chelsea Hopkins on the fast break. Kiyana Stamps weighs her passing options. Malia Nahinu, at 6-foot-6, prepares to score against the Longwood defense. Chelsea Hopkins drives for the bucket. 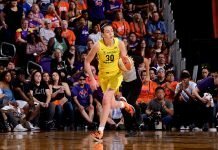 She finished the night with 13 points, 10 rebounds, four assists and four steals – two of which resulted in her scoring.